Moving is one of the most stressful and difficult things we go through. That’s why stress reducing packing tips are a must. Even if you’ve found the home of your dreams and you can’t wait to settle in, you still have to take on the tedious, time-consuming and taxing step of packing up all the stuff you’ve collected over the years. It almost makes you not want to move! But don’t backtrack just yet. There are things you can do to make your packing experience less stressful. Keep reading for stress reducing packing tips sure to help make your move a little easier. While your instinct may be to put packing off as long as possible, you’re only delaying the inevitable. Start the process as soon as you know you’re moving. This will help you to avoid the craziness that comes with last-minute packing. Start small by organizing a few things as you’re able to, or packing one box a day. It will help break the overwhelming process down into smaller, more manageable chunks. Since packing is typically the only time you get to see or touch every one of your belongings. It provides a wonderful opportunity to get rid of things you don’t use anymore. Select one area, like a corner or table, to collect items you’re throwing away. Choose another to gather items you’re donating or selling. As the piles grow, make regular trips to the dumpster and donation locations. Think places like Good Will or the Salvation Army to clear those areas out. Remember – the more stuff you purge, the less stuff you have to pack and move, then unpack and organize in the new place. If you follow the first of our stress-reducing packing tips and start packing early (which you should! ), be sure to work in areas that you don’t use very often. Begin organizing, purging and packing closets, guest rooms, the garage, the attic, and any other areas you can think of. Save frequently-used areas like the kitchen, bathrooms and your bedroom for last. This way, you’ll avoid having to open and search through boxes you’ve already packed. To ensure you have enough boxes for all of your belongings — and to avoid having to purchase them last-minute — start collecting boxes as soon as possible. Grocery stores and retail locations are usually happy to hand over the boxes their inventory comes in. Otherwise, they would just throw them away. So contact your local stores to find out when their inventory days are. Then, visit them on those days to collect any empty boxes. You can also check the classifieds for people giving away boxes. Tell everyone you know that you’re moving and ask them to save boxes for you. The more shapes and sizes you can stockpile, the better. Check out some creative ways to use those boxes once your move is over. Make a list of all the packing supplies you’ll need, such as packing tape, bubble wrap, scissors, newspaper, and markers. If you don’t already own any of the items you’ll need, buy or borrow them ahead of time. Use a box, drawer or another area of your home to collect and store all of the supplies so you always know where everything is. Be sure to secure plenty of markers because one of the best stress reducing packing tips is to label each and every box as you pack it. In clear, bold letters, write the room (“KITCHEN”) that the box belongs in so the people helping you move know exactly where to put it in the new home. Beneath where you’ve written the room name, write a brief list of the items you’ve packed in there.This will help relieve the stress once you’ve moved in and are looking for a specific item. Rather than packing all of your linens in one box and then using bubble wrap or newspaper to wrap your breakables, consider combining the two for a more efficient packing process. Wrap a bedspread around your mirror. Nestle vases and figurines inside pillowcases. Use washcloths to protect your wineglasses. To keep your boxes from getting too weighty and unwieldy, avoid putting too many items in one box. This is especially true for heavy items like books. While it might seem convenient to pack as many things as possible into a large box, it might be very difficult to pick up and move that box once it’s full. If you’re unsure about whether you’re over-packing a box, simply try lifting it after you’ve packed a few things in there. If it’s too heavy, split up the items into several smaller boxes. Another of our stress-reducing packing tips? Packing a little bit here and there works great when you’re getting started. But as you get closer to your moving day, you’ll want to set aside a larger chunk of time to devote to packing. Take a day or two off of work. Order pizza for dinner instead of cooking. If you have young kids (or even pets) who may hinder the packing process, get someone to watch them for a few hours. When it comes to packing, the more the merrier! Ask a few friends to help you pack during the time you’ve set aside. Try bribing them with pizza and beer, and offer to return the favor by helping them the next time they move. Are you still feeling overwhelmed after reading these stress reducing packing tips? 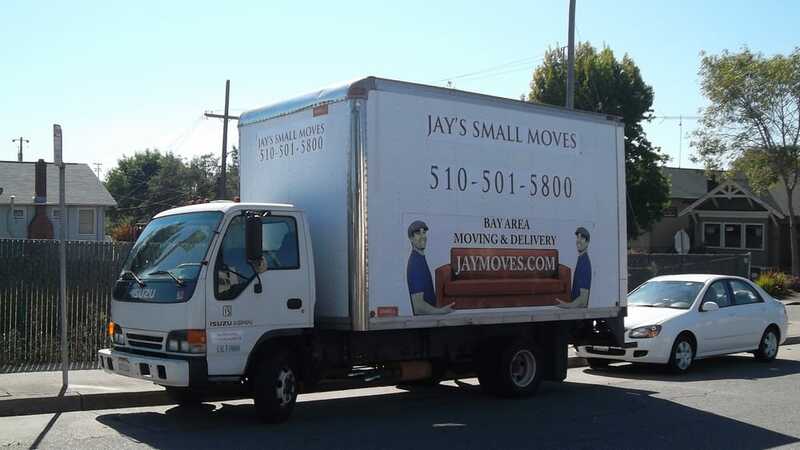 Consider hiring professionals and movers to do the work for you. It’s more expensive, of course, but if you simply don’t have the time, patience or ability to do it yourself, leave it to the professionals. It’s a fantastic and stress-free way to pack and move. Moving can be one of the most stressful experiences of your life, but if you follow these packing tips, it should help make it a little easier. Moving soon? Contact us today for a free quote or for more information.